It's no accident that two letters always precede Bone's name whenever he's on the bill. First and foremost, Bone is a DJ---in the truest sense. When he spins, it's as if the turntables and the mixer become a physical extension of his body. 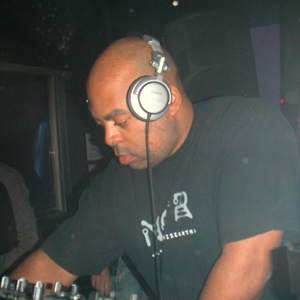 He employs every possible technique in the disc jockey arsenal masterfully: blending, scratching, backspinning, no monitors or headphones; unrivaled in his use of the fader switch and he incorporates them all into every set. From his standing room only residency performances to after-hours spots, he rocks every show as if it's his last.